My camera is being mean to me. Well, actually that is not entirely true. My lens is being mean to me. Which is one of the reasons why I didn't post anything on here in a while. I have been cooking, just not taking many pictures because of the lens traitor. 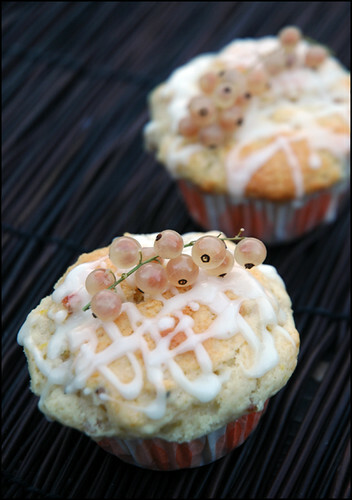 These muffins that I made, though, were one of the things I did manage to take pictures of and they are a perfect breakfast muffin! 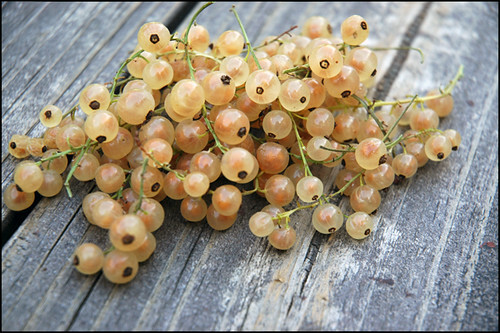 I got these currants on the farmers market last weekend and I was debating should I make a fruit tart or muffins, but decided on the muffins at the end and I am glad I did! This is also the first recipe I made from Dorie Greenspan's "Baking: From My Home To Yours" cookbook, I FINALLY got it. 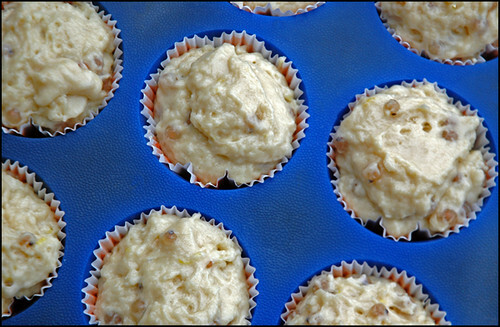 Center a rack in the oven and preheat the oven to 375 degrees F. Butter or spray the 12 molds in a regular-size muffin pan or fit the molds with paper muffin cups. In a large bowl, rub the sugar and orange zest together with your fingertips until the sugar is moist and the fragrance of orange is strong. Whisk in the flour, baking powder, baking soda and salt. In a separate bowl whisk together orange and lemon juices, lemon extract, melted butter and eggs. Pour the liquid ingredients over the dry ingredients and, with the whisk or a rubber spatula, gently but quickly stir to blend. Fold in the currants. Divide evenly among the muffin cups. 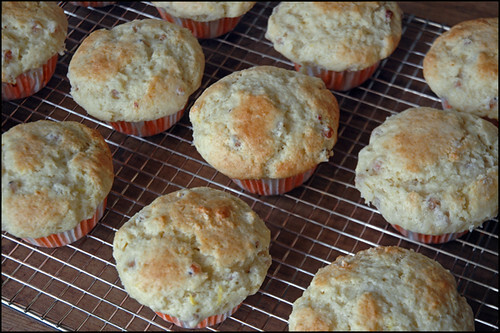 Bake for about 20 minutes, or until the tops are golden and a thin knife inserted into the center of the muffin comes out clean. Transfer the pan to a rack and cool for 5 minutes before carefully removing the muffins from the pan. 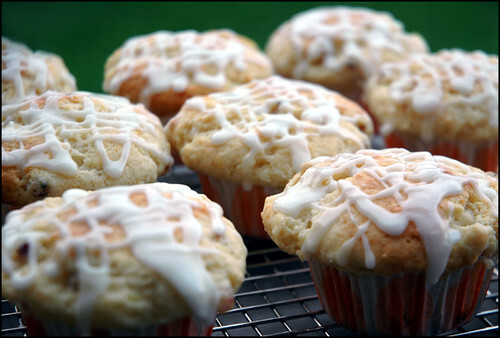 Once they were cool, I decided to top mine with some citrus lemon icing. I just took two tablespoons of lemon juice and mixed in confectioners sugar until it was the right pouring consistency, then I drizzled it over the muffins. ovi su muffini fakat fini, i meni su mrak za dorucak jer uopce nisu preslatki...a originalni recept ide s susenim ribizlima, ja mislim da mozes vecinu bobicastog voca unutra koristiti i jednako dobro ce ispasti, suseno ili svjeze!